Ships to you for as little as $6.75! 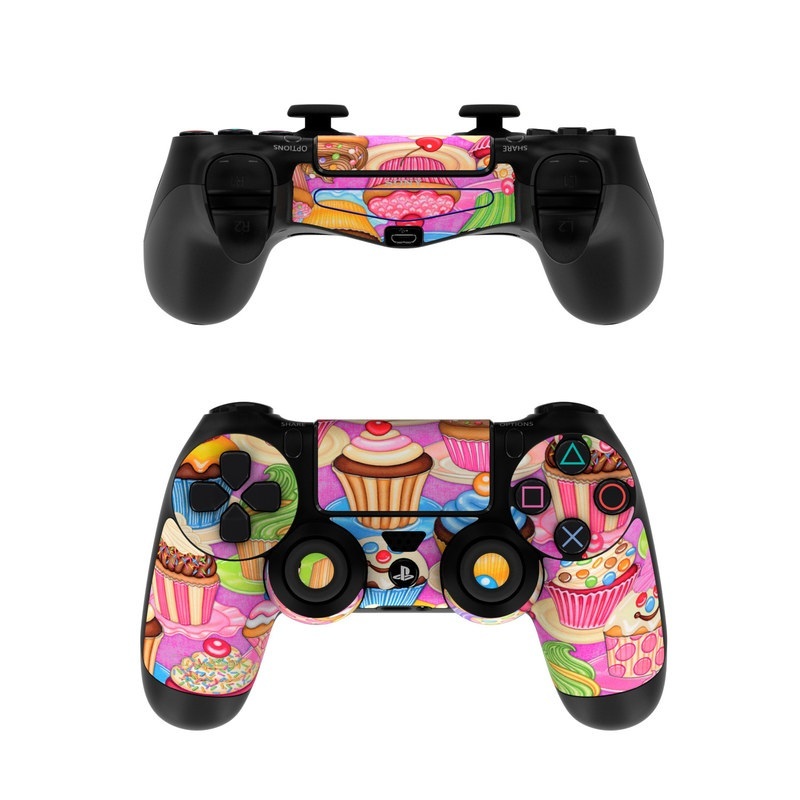 Add a Matching Controller Skin for $9.99 Give your PS4 controller a facelift with the matching controller skin featuring the same artwork! 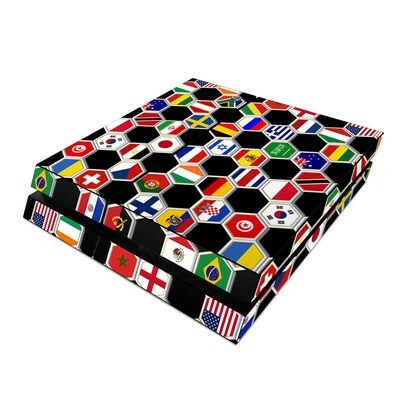 Remember, we offer over 1000 pieces of art as skins for your Sony PS4 Console. First time ordering from DecalGirl and I recommend their products! My PS4 looks amazing and cleaner, very easy to put it on. Their customer service was excellent and shipping was great! Came out even better than I thought. It was printed beautifully. Amazing skin, thanks Sanctus, thanks Decalgirl. 2 of 4 people found this helpful. My PS4 looks incredible now!!!! I'm so glad I found this site. The skins are much higher quality than the others I've found on the internet. They have a beautiful finish, and just look amazing. They definitely look at lot better than the premade skins you can get on Amazon. You get what you pay for basically. Totally worth it. The custom skin creation tools are also really great, and very accurate as well. It was really great being able to take screenshots with PS4 and turn them into a beautiful looking PS4 skin. Great quality too. Customer service is also excellent. I had a few questions while designing my skin. Also had a minor problem with my order, and they resolved it right away. Will be telling friends about this site for sure. Product was very easy to install! Gives my PS4 that custom look and it's very cute and stylish! I wish I didn't miss that bottom skin option so I would've bought it with it! Dark grays don't print out with very good detail or contrast (we lost half of our design), and the colors change quite a bit. Our blues came out more cyan. Photograph on the back came back very dark. Made the skin for a PS4 we're donating to a fundraiser for a children's museum. It still looks pretty cool, easy to apply, doesn't leave finger prints when you install. I only wish the color reproduction was better. Would consider ordering again, but with different design on our end. Very high quality! Other brands I've tried peeled off and had air bubbles due to the PS4 giving off heat, DecalGirl material doesn't have any of those problems! My ps4 looks fantastic. Easy to put on. Worth the time and money. 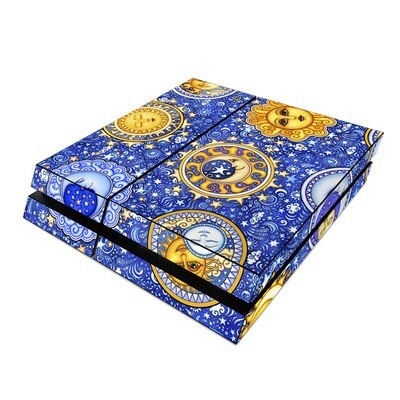 My ps4 looks so much better with this skin; - a proper tattoo design, it looks authentic & great. Thank you decalgirl for this awesome skin for my PlayStation 4. The skin took 6 days to arrive wow that was quick. It looks really badass. The gloss skin makes the green zombie pop out even more. 1 of 3 people found this helpful. Looks awesome, slightly too small to get to all the edges of my ps4, still really happy with how it looks. 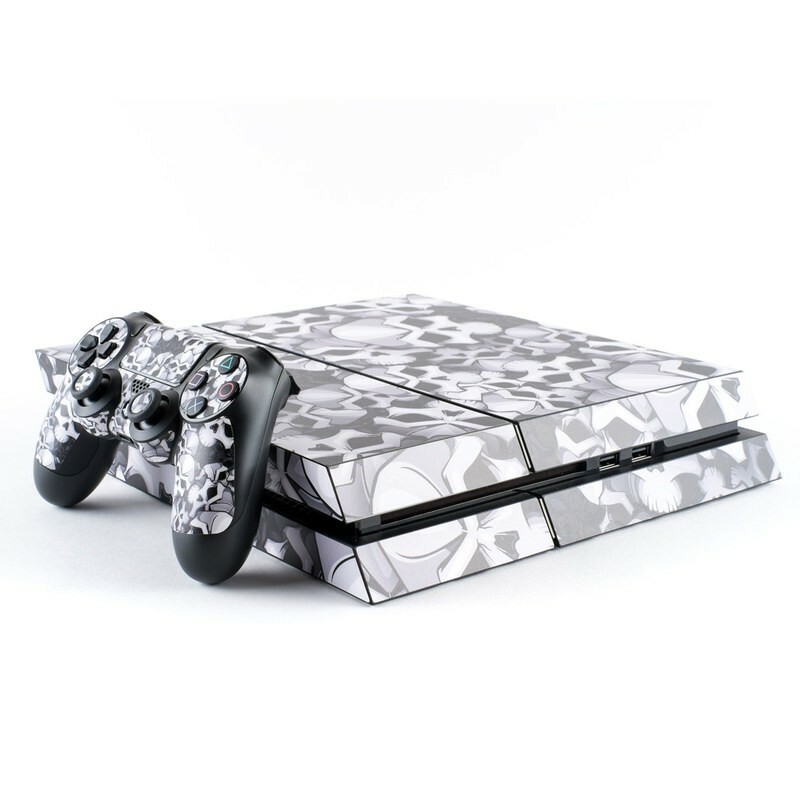 Once I got this skin in the mail I fell in love with this skin for my PS4 it looked amazing.?????? Looks great and super easy to apply! It looks so clean! The texture feel sturdy and the fit is perfect! It looks amazing I love the layout design and it's very easy to put on. Now I'm gaming with retro style! My PS4 looks incredibly sharp. Also harder to notice dust on it. Very happy with this skin. Overall the skin is good and beautiful. Doesn't cover the sides or bottom though. Looks AMAZING on the console!!! Omg it is so amazing!!! Just perfectly beautiful!!! I ordered this unique art work because one of my friend recommended to me. I am so excited to use it. The purple is really pretty and it makes my PS4 look cool and different than anyone else's. It was easy to apply. Totally worth it! And it is fun that my controller matches it. I love space and this just caught my eye when I saw it. Reminds me of a show I watched growing up smallville. The design is out of this world. The design is like nothing I've ever seen and it looks so electric. It looks AMAZING. And I love how perfectly it fit. So awesome love the color of glossy white looks amazing on my ps4!! It looks amazing! I love it and I keep getting compliments on how beautiful it is. nice wrap. colors bright and strong,gloss finish also nice. I loved it. It's changes my PS4 looks completely. It's been two years and my skin looks just as new as when I first received it. I recommend this skin. Even better! I made my own custom skin . 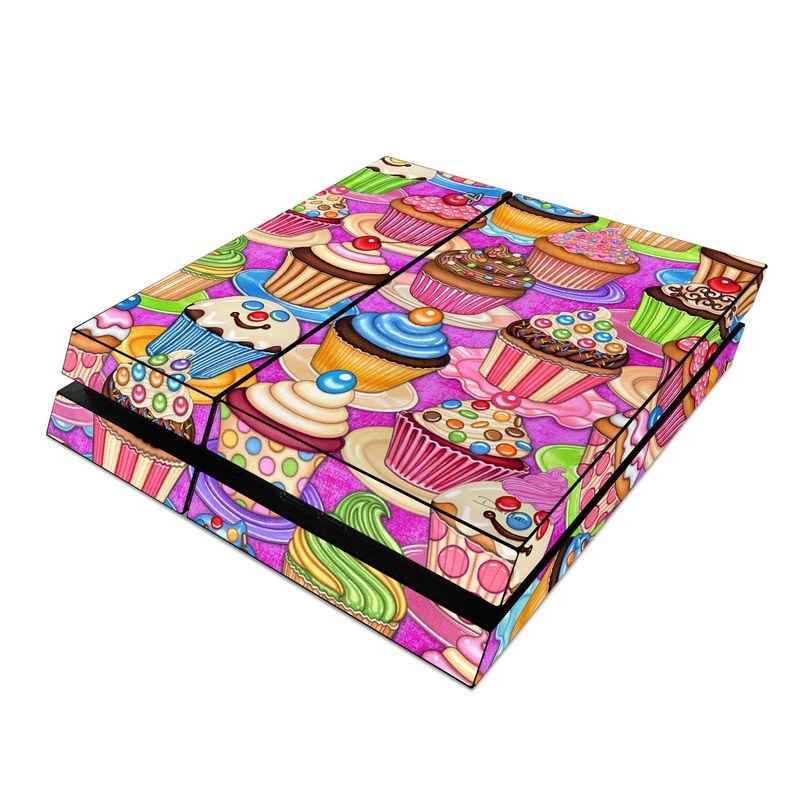 So dress up your PlayStation 4 how you believe it should look and let Decal Girl do the rest. It's durable and long last as far as me and my PS4 can tell. This has been Sk8boyq from Twisted Saiyan Gaming and Entertainment. Game On!!! Looks great not cheap like all the other ones. Best skin company on the market. Awesome decal for my PS4! I absolutely love the way my P4 looks now. Got it for my little brother for Christmas and he loved it. Super easy to apply, finished in under 10 minutes! Very cool design! I have the alternate version for my Nintendo 3DS as well. The design compliments my black PS4 very well, and the matte finish makes it feel wonderful! The prints on these DecalGirl skins are awesome! A little on the pricey side, but you get what you pay for! These are beautiful, brilliant designs printed on high quality sticker material. Super easy to put on, and just feel like a Good, Quality product. Don't waste your time and money on those $10.00 skins you see else where. These are Definitely worth the price! And there are TONS of awesome designs to choose from. And they do custom prints too! I'm already looking for a pic to send in for when I order again! WORTH EVERY PENNY! Can't explain other than it's just my favorite skin to put on any device.